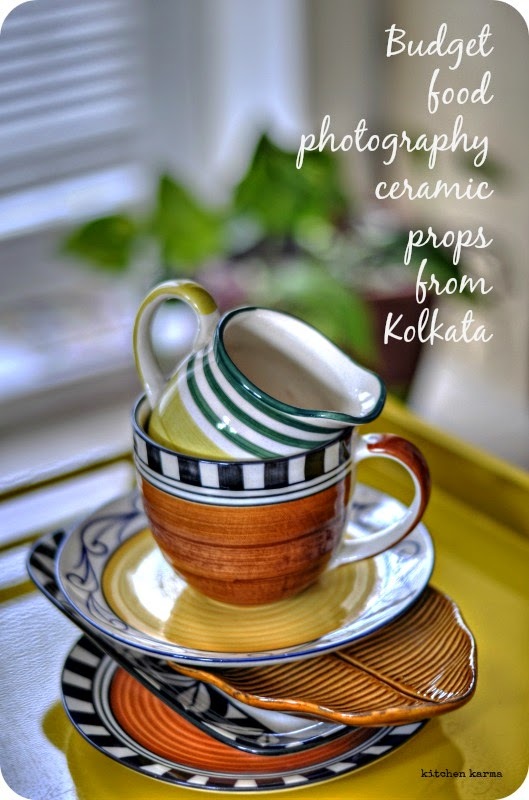 Kitchen Karma: Food Photography Props from Kolkata! Hi guys, how are you all? I have a bit of a good news. My suitcase has come back, battered & shattered and ripped on the side, but with all the contents intact. Thank God. Finally all that stress I was under, for the last 5 days, is over and I can breathe easy. Wishing you all a relaxed & happy weekend. Lost luggage during travelling is undoubtedly a big stress. I'm glad you got it back. The props really look good. When compared to Europe/North America everything looks so cheap back home but alas, the luggage restrictions make it so difficult to carry whatever we want.